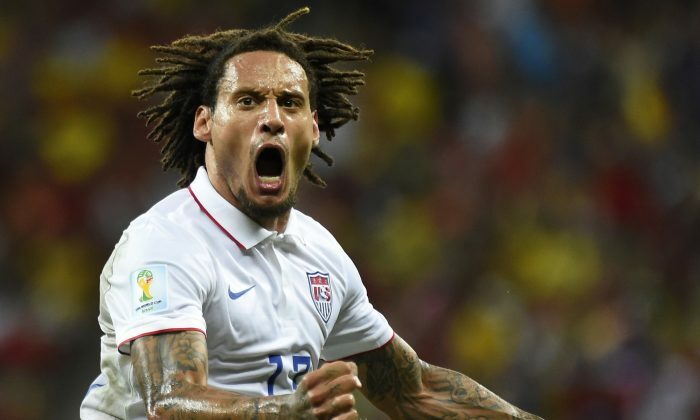 USA is set to play Belgium for a quarter final spot on Tuesday, July 1, and one of their key players is Jermaine Jones. The 32-year-old German-American scored a sweet long range effort in USA’s 2-2 draw with Portugal in the group stage. Jones is married to Sarah Gerth, a former Miss Germany in 2007, according to FabWags.com. The couple tied the knot on September 9, 2007. Jermaine and Sarah have five children, Keanu, Kenyon, Junius, Jadee-Mae, and Liya-Joëlle.